As preparations reached the peak for today’s Ohanaeze Ndigbo’s summit on restructuring and other topical issues affecting Nigeria in Awka, Anambra State capital, members of the Indigenous Peoples of Biafra IPOB have threatened to disrupt the event. In a statement issued by IPOB spokesman, Emma Powerful in Enugu, the group threatened to disrupt any meeting of Ohanaeze Ndigbo meant to discuss restructuring of Nigeria, or 2019 election, insisting that Biafra is non-negotiable. But in a swift reaction, Ohanaeze warned IPOB against carrying out its threat. According to the group’s Secretary General, Uche Okwukwu, IPOB should exercise restraint in disrupting an event that is of great importance to Nigerians in general and Ndigbo in particular. Speaking on the threat, the Ohanaeze scribe said that IPOB should be aware that there is freedom of assembly and speech in the country and cautioned that there is punishment for anybody who violates the law. While Nigerians, especially prominent Igbo are worried about the unfolding drama between the two groups, it is important to note that this was not the first time IPOB issued such threat, without carrying it out. And this may not be the last. But the question is what is the source of the feud between IPOB and Ohanaeze, despite the fact that the present Ohanaeze leadership has been defensive, supportive and protective of IPOB since assuming office? This is contrary to the disposition of the previous leadership. Apart from this, it is obvious that the Nwodo leadership of Ohanaeze has been consistent in the demand for the restructuring of the country alongside other socio-cultural organisations in South-South, Southwest and Middle Belt regions and this has not affected its position on IPOB. Despite that however, there have been instances where Ohaneze openly disagreed with IPOB especially during the preparations for the Anambra governorship election when the latter threatened to disrupt the process. 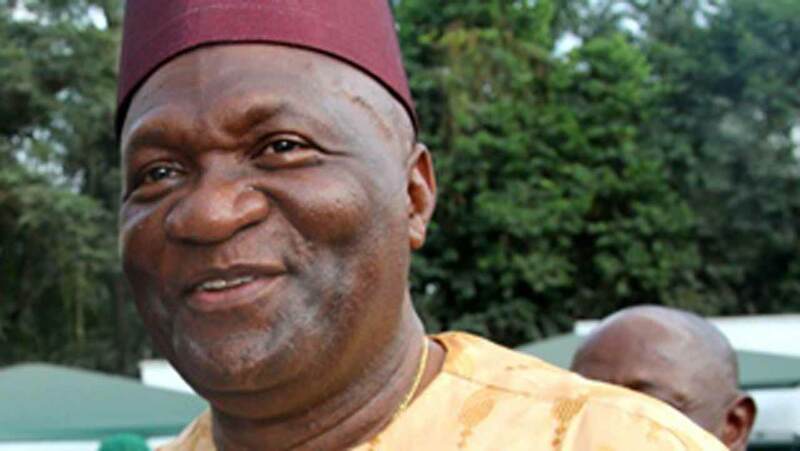 During his address at Anambra State House of Assembly, Nwodo had warned leaders of groups championing self-rule for the Igbo not to arrogate to themselves the supreme leadership of Igboland. He said though it was obvious that Ndigbo were suffering marginalisation in the affairs of the country, Igbo was still part and parcel of Nigeria, adding that in seeking mitigation of the injustices being meted to Ndigbo, civilized approach should be adopted. Because it was opposed to Nwodo’s approach, IPOB has since then started to confront his leadership, deploying different means to carry it out. After the incarceration of IPOB leader, Nnamdi Kanu in 2015, not many prominent Igbo leaders wanted to identify with him and his struggle. Kanu and his followers were languishing in Kuje prison as the legal intrigues continued to delay their unconditional release. But with the emergence of Nwodo leadership of Ohanaeze last year, the situation changed as the group continued to criticise and condemn the Federal Government and the security agents over consistent attacks on harmless IPOB members. The Guardian investigation revealed that the Ohanaeze leadership did not stop at condemnations, as it also rallied prominent Igbo sons and daughters to see how Kanu could secure freedom. With this, some Igbo leaders who have been indifferent to the ordeal of Kanu and his members became more concerned and involved. It was as a result of this that the former governor of Central Bank of Nigeria, Prof. Chukwuma Soludo alongside Prof. Pat Utomi, Tony Nnadi, Udenta Udenta, Emeka Ugwuoju, Collins Ugwu, Law Mefor and Ferdinand Agu paid solidarity visit to the IPOB leader at Kuje prison under the aegis of Nzuko Umunna, a coalition of all major groups in South-South and Southeast. Not long after the visit, the Southeast Caucus in the Senate was rallied to perfect Kanu’s bail condition to set him free. Initially, many had thought that Kanu would reject the conditions considering the fact that that they were too stringent and were not extended to his co-accused. But to the surprise of many, Kanu accepted and machineries were set in motion to fulfill it. That was how Senator Enyinnaya Abaribe of Abia South became one of Kanu’s sureties. It was gathered that after his release, Kanu met with the leadership of Ohanaeze where it was agreed that he will not attack the group’s call for restructuring and Ohanaeze will not condemn his Biafra struggle, provided it is violent free. Kanu was also appealed to at the meeting to shun the attack and abuse of prominent Igbo sons and daughters in the course of his struggle. It was alleged that Kanu stormed out of the meeting, bragging that he was in control. To the disappointment and surprise of many Igbo leaders who played prominent roles in securing his release, Kanu resumed activities of the struggle in his village, Afara Ibeku in Umuahia, Abia State making many of them including governors, major objects of his verbal attacks and criticisms. It was also alleged that some IPOB members have been sending threat messages to some prominent Igbo leaders to alert them of their plan to attack them for not supporting their cause. This was against the agreement Kanu had with them upon his release from prison. 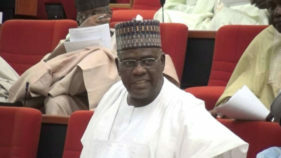 Daily on the undercover Radio Biafra, major discussions and progammes were against Igbo leaders and while many IPOB members were languishing in jail, Kanu continued to recruit more loyalists who became victims of security agents’ attacks at the peak of the confrontation that led to his disappearance till date. Since Kanu’s disappearance and subsequent ban on IPOB, nothing much has been heard about him until recently when houses of some prominent Igbo leaders like Nwodo and ex-minister of Finance, Dr. Kalu Idika Kalu were bombed and accusing fingers were being pointed at IPOB even though the group has continued to deny it. 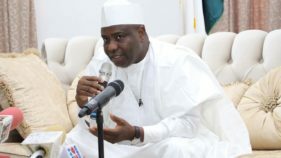 The incident at Kalu’s house happened on March 29 but was kept under wraps to allow security agencies probing the incident apprehend the perpetrators. However, a month after, there seems to be no headway. Instead, the home of Nwodo was bombed exactly a month after. Kalu recalled that a member of the inner caucus of IPOB told him clearly that he was marked for elimination because he had remained aloof to the Biafra struggle. He said he didn’t take the threat seriously, as he didn’t see how his failure to contribute money for IPOB struggle would be a crime. IPOB has since denied any involvement in the explosion describing the allegation as laughable. And as Nigerians await the outcome of investigations on the explosions, many have expressed worry about the direction the whole thing is taking in the feud between the two groups. 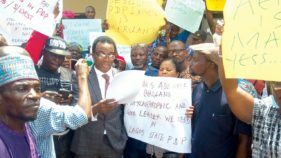 Speaking to The Guardian on the development, a political scientist and university don, Dr. Mike Uzoko commended Ohanaeze leadership for the mature manner it has handled IPOB’s provocation, saying that it is obvious that some people are trying to use some frustrated IPOB members to cause crisis in the Southeast ahead of 2019 polls. “I have observed with dismay some sponsored attack on Ohanaeze leadership in the newspapers because of its position on IPOB activities in the southeast region. The present Ohanaeze leadership is the best thing that has happened to Igbo in recent times. It has not done anything wrong on IPOB because Igbo cannot afford to go to war again unprepared. That is the truth,” Uzoko said. Although successive Ohanaeze leaderships had their failures, lapses and challenges, the Nwodo leadership has enjoyed the support of not only the Igbos, but that of the entire South and the progressive North. It is for this reason and sterling performance that Nwodo was chosen as the spokesman of the coalition of South-South, Southeast, Southwest and Middle belt leaders.